Get legs you will be happy to have seen. Our legs can become unsightly and an embarrassment. Venavine Intensive capsules will restore your legs; making them look younger and in better condition; PLUS it helps get your legs – especially leg veins – healthier. Venavine Intensive Capsules offer a natural and effective way of improving your legs and veins. You will have legs you are proud to have seen; besides having improved veins and circulation. Are you suffering from heavy, tired, painful and swollen legs? Maybe you have varicose veins? You are not alone. Modern life where we sit for extended periods doesn’t help. As we get older the problems get worse. Sitting or standing for long periods can put massive pressure on our leg veins; allowing fluid to enter tissues in your legs which causes swelling and ultimately varicose veins. There are many factors which can cause varicose veins. Ageing is obvious; but pregnancy, lack of exercise, prolonged periods of standing or sitting, obesity and some hormone treatments can also cause this, sometimes, very unsightly and embarrassing problem. 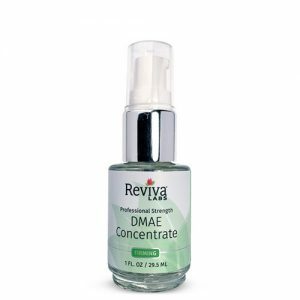 Researchers have shown extracts from the Red Vine Leaf contain powerful healing properties. Extensive testing showed the flavonoids found in them reduced the symptoms of tired legs; relieving the feeling of tired, heavy legs; reducing the pain and tension felt in calves after standing or sitting for too long; tingling sensations in the leg; muscle cramps; and hardening of the skin in the lower leg. 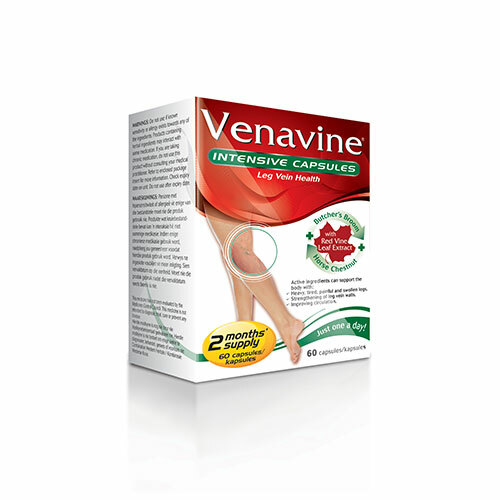 Venavine Intensive Capsules contain all the vital flavonoid extracts from the Red Vine Leaf, resulting in a totally natural, safe and highly effective solution to problems you could be experiencing in your legs. 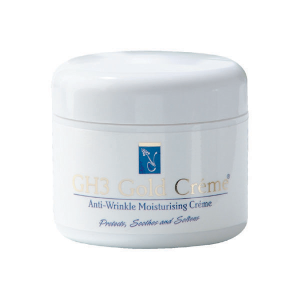 For best results: use in conjunction with Venavine® Intensive Cream. Take 1 capsule, daily after breakfast, with a glass of water. Safety for use during pregnancy and lactation has not been established.